Please aim to arrive 10 minutes earlier on your first night as there is a form to complete. Please note we will be closed for one night only on Wednesday 24th April as the hall is not available. Thank you. 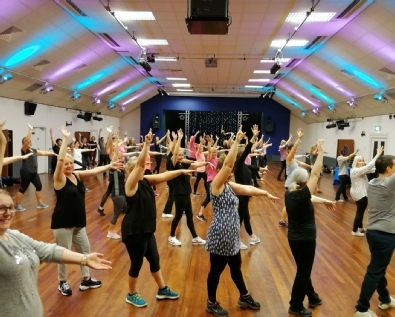 We are delighted to running our Strictly FitSteps class at the Melksham Assembly Hall every Wednesday. New Member Offer: On your first class you can buy a once only special promotion of 6 classes for just £18. Valid for 10 weeks.